There's nothing like the love between a mother and her child. 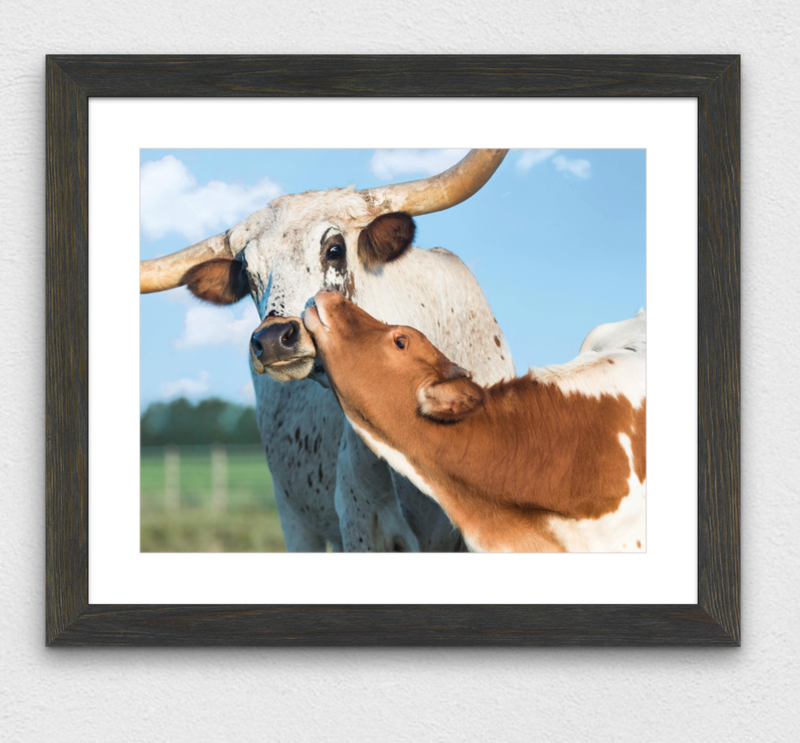 I felt so fortunate to capture this sweet moment between a longhorn calf and her mama. This is the perfect touch for an animal-themed nursery or the true Texas fan.